Learn How You Can Benefit Today From the Astonishing Power of Probiotic Support with Floratrex! Also called good bacteria, or helpful bacteria, probiotics are microorganisms that live in your digestive tract and support good digestive health. With 50 billion CFUs, Floratrex is a probiotic and prebiotic supplement that helps populate your digestive tract with a mix of beneficial bacteria to support digestion and boost the immune system. It’s great for daily or occasional use and perfect for individuals who need significantly more varied probiotic species to support intestinal health. Many people consider a daily probiotic to be as essential to their health as a multi-vitamin and the research is clear -- a healthy body begins with a healthy gut! "For years, I have used and recommended multiple probiotic formulas to enhance my own gut health and that of our customers. However, I always had to use two or three products. I was never able to find a complete, vegan-friendly probiotic formula that contained all the bacterial strains I wanted. This prompted a seven-year journey to develop the most advanced, all-in-one, full-spectrum, digestive and intestinal health probiotic formula in the world. This breakthrough product would be produced using vegetarian and vegan-friendly processes." "This wasn't easy and it took years to create and source the perfect formula. One challenge was finding vegan cultured probiotics. The other challenge was to find a probiotic company that would agree to use our non-toxic, non-GMO certified organic gum acacia which in itself works as a prebiotic; a product innovation Global Healing Center was the first company to offer." "The world's leading probiotic manufacturers were shocked at the cost of the comprehensive formula but, unlike other manufacturers whose only concern is low costs and high margins, Global Healing Center's number one priority is quality. Floratrex provides 50 billion CFUs from 23 probiotic strains, making Floratrex one of the most complete, full-spectrum live probiotic formulas in the world." Your digestive tract is a complex machine that converts nutrients into energy. Probiotics are friendly organisms that assist the digestive process and encourage nutrient absorption. Floratrex is even helpful for people with food sensitivities. Supporting your digestive health is one of the most effective measures you can take to encourage overall wellness. Research has confirmed that 70%+ of your immune system resides in your gut. Supporting a healthy intestinal environment, which is the front line for the immune system, is essential for promoting well-being. Your gut is home to countless bacteria -- some good, some bad. A daily probiotic supplement like Floratrex promotes the growth of good bacteria to help balance out the bad. Floratrex is one of the best, all natural solutions for replenishing your gut's supply of good bacteria and keeping harmful organisms at bay. Floratrex is one of the most complete and advanced probiotic supplements available. Each serving contains 50 billion live active CFUs from 23 of the most beneficial strains of bacteria. It’s important to invest in nutritional supplements produced by a responsible manufacturer and that's doubly important when it comes to probiotics. Global Healing Center employs the highest quality manufacturing standards in the production of Floratrex to ensure maximum potency. In addition to the stomach and intestines, probiotics also reside in the colon, mouth, esophagus, and nasal cavity. 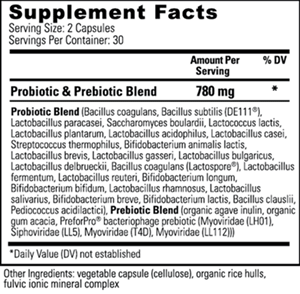 Your body contains over 3 pounds of probiotic organisms! To compare, your brain weighs about 3 pounds and your heart about 0.7. If the bacteria in your gut were laid end to end, it would go around the world 2.5 times. There are over 1000 probiotic strains in your body but every person has their own unique makeup. Probiotics help your body absorb many nutrients, including copper, calcium, magnesium, iron, manganese, potassium, and zinc. The digestive system is often called the "second brain" because the vagus nerve links the brain to the digestive system. The gut is home to over 100 million neurons and produces up to 90% of the body's serotonin. One recent study even indicates that probiotics could be used to regulate emotions and mood via their effect on neurotransmitters. In 2007, Duke University reported that the appendix releases probiotic bacteria to defend against harmful organisms. A 2004 study found that infants given probiotics were less colicky. Nearly 9 out of 10 people with autism also have probiotic imbalances, leaky gut, or IBS. High fructose corn syrup, alcohol, wheat, GMOs, stress, antibiotics and lack of sleep all reduce beneficial bacteria. Formulated to optimize and balance intestinal flora. Stimulates nutrient absorption and B vitamin synthesis. Helps with digestion, especially hard-to-digest foods. Supports immune system cells in the intestinal tract. Perfect support for general wellness and vitality. Why is Floratrex the Best Probiotic Available? Provides 50 billion CFUs from 23 of the most beneficial probiotic strains. 1. What are prebiotics? Prebiotics are carbohydrate fibers called oligosaccharides that you don't digest; they essentially act as food for probiotics. They remain in your digestive system to help boost the growth of beneficial bacteria. Sources of prebiotics include fruits, raw honey, and legumes. 2. What factors negatively affect intestinal flora? The gut is a delicate environment that's susceptible to imbalance and can be significantly affected by what you put into your body. Antibiotics, prescription medications, alcohol, artificial colors and flavors, wheat, chlorinated water, GMOs, stress, travel, are just a few of the factors that can cause intestinal imbalance. 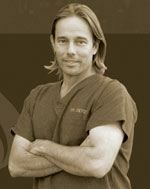 Often times a poor gut environment is plagued with gas, bloating, diarrhea, constipation, and irregular bowel movements. 3. What does CFU mean? Colony forming units are how probiotics are measured, generally measured in the millions or billions per serving. We test to assure that Floratrex meets potency specifications at the time of manufacture. Floratrex provides 50 billion CFUs per serving. Eat prebiotic foods like fruits, raw honey, and legumes. Stay well hydrated with purified water. Meditate or practice breathing exercises to help minimize the effects of stress. Follow a clean, organic diet. Avoid artificial ingredients, GMOs, refined sugars, and other no-nutrition foods. Fermented foods are a great source of friendly probiotics and typically loaded with beneficial vitamins and nutrients. Beware that antibiotics, processed foods, sugar, and other toxins negatively affect the delicate balance of gut bacteria. Use an oxygen based colon cleanser like Oxy-Powder® to keep your intestinal tract clean. Revitalize Your Digestive System Today With Floratrex! Can I mix Floratrex into food? Is Floratrex safe for kids? Probiotics are bacteria that help the digestive system function. They are live microorganisms that aid in absorbing nutrients from food and boosting the immune system. Not all probiotics are the same and different strains of probiotics have different effects. Probiotics can cause occasional gassiness and bloating which typically subsides within two weeks. To avoid this, try taking a smaller serving at first and increase as your body adjusts. Floratrex should be taken with water, 20 minutes before eating. Do not mix Floratrex into hot food or take with a hot beverage as high temperatures may kill the microorganisms. Floratrex helps support kids' health too! Enteric coating is a type of layer put on the probiotic capsule and intended to promote survival of the beneficial bacteria in your GI tract. Enteric coating is an unnecessary, expensive process and many enteric coatings consist of synthetic ingredients. Global Healing Center relies on high ­quality manufacturing processes to negate the need for enteric coating.